Bible journaling has become one of my favorite forms of worship. Not just drawing, using washi or stamping, but also the note taking. I love writing notes about what God is showing me in my quiet time or writing out verses that were important at that moment. And colorful stamps and washi help make them stick out in my memory. 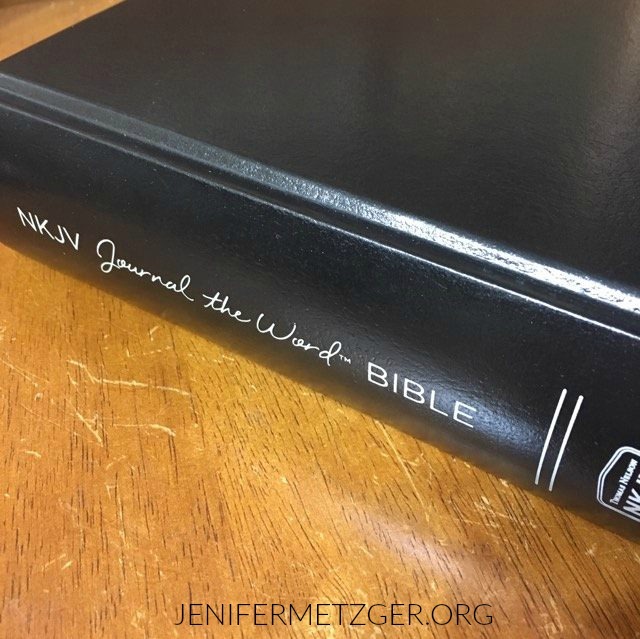 The new Journal the Word Bible is a great Bible for jouraling your way through the Word. This NKJV Bible is hard cover and large print. The lined margin is wide, making it perfect for taking notes or drawing. Whether you are a gifted artist or a new beginner, whether you want to journal artistically or write out Scriptures and prayers, the Journal the Word Bible is perfect. To enter to win a Journal the Word Bible, complete each task in the rafflecopter below. I have not, but I have always wanted one. I have not ever used a journal Bible. It would be a fun experience and beautiful reminder. Early I developed a devout honor for books and found great difficulty writing in one. I so enjoyed Mom's Bibles for her notes and later found myself following suit. It is such a treasure to find the special meanings in notes taken years ago. Truth is timeless. I have not used a Bible journal. I do think I would enjoy it. I have not ever used a Bible Journal but I think it would be a lovely way to be creative with my stamps. I'm always looking for ways to incorporate and encourage with my rubber stamps. This would be awesome. No I have never used a journal bible. 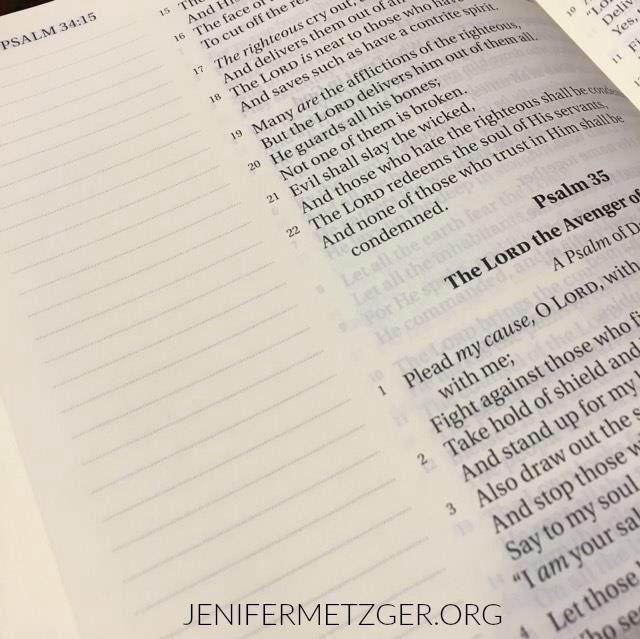 I know that I would love to use a Journal Bible! Thank you for the chance to win. I've turned the Bible I have into one somewhat. It's a study Bible, but there is space that I can add lettering and some drawings and stickers.